For small areas, mow the lawn very close to the ground, secure black plastic or heavy cardboard over the area. In several weeks most of plants under the light excluding material will be dead. For larger areas, a sod cutter will slice under the roots of the old lawn and weeds. Another mechanical alternative is to use a rear-tined tiller. Tilling will bring weed seeds to the surface where they will sprout so it will likely be necessary to till 3 to 4 times reaching the depth of 4 to 8 inches at about one week intervals. A nonselective chemical herbicide kills or injures all plants it contacts. Use a sprayer to carefully apply product and follow the instructions on product label. 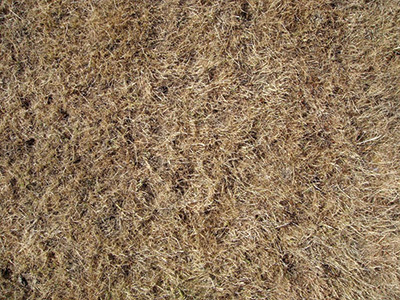 It may take 5 to 7 days for the weeds and grass to look yellow. If yellowing is not evident a second application may be necessary. Do it yourself people might find a sprayer, sod cutter or tiller at a local equipment rental center or contract with a local landscape company for this task. If a sod cutter is used to kill existing weeds and lawn, roll up sod strips and dispose of them in a municipal or home compost. 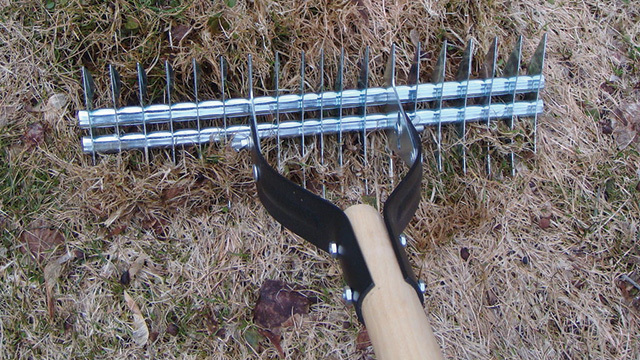 For small areas a hand tool like a thatching rake will help with removal and is easy to come by at any store that sells lawn supplies. Do it yourself people might find a power versions of a thatching rake at a local equipment rental center or contract with a local landscape company for this task. The ground should be made even and to slope away from your house in all directions dropping at least 2 or 3 inches every 10 feet. For minor adjustments, do it yourself people might find a small version of earth moving equipment at local equipment rental center or contract with a local landscape company for this task. Also address any soil compaction. topsoil. Establishing at least 4 inches of topsoil is essential.